For an emerging Twitch broadcaster, or any gamer eager to share epic highlights with pals. Sharing recordings of your gameplay is all the rage these days, but believe it or not, watching someone play a video game is about as old as the pastime itself. When Q-bert and Ms. Pac-Man roamed the earth, it wasn’t unusual to see a group of kids clustered around an arcade machine watching the neighborhood’s best go all the way on a single quarter. In the 90s, the game in my neighborhood was Street Fighter II, and the aughts had young gamers clustered around living room televisions with the Grand Thefts Auto. Fast forward to today, where sharing or streaming video of your gameplay online is common, and almost any major game you can think of has a viewer base and star players. 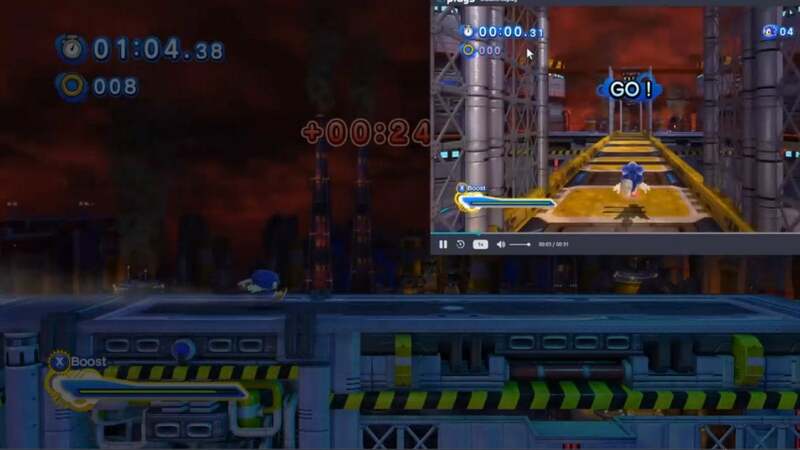 Unlike games of yesteryear, where Donkey Kong or Sonic the Hedgehog followed a pre-determined path and variation between game runs was relatively minor, video games today offer a variety of different endings, outcomes, and middle games that can be as entertaining to watch as to play. There are even sports games like the FIFA series and Rocket League offering something closer to traditional sports highlights. The World Economic Forum reported in June 2018 that esports, where professional video game players test their mettle against each other, was on track to be a billion dollar business with 300 million fans worldwide. That says nothing of Twitch, the Amazon-owned dynamo where competitive and non-competitive pros play their favorite games, live streaming their antics to adoring online crowds. Then there are the video game clips people post to YouTube and other sites showing an innovative move, game stage tutorials, hilarious game bugs, or major missteps. Whether it’s to show off to the world or just a few friends, video game recording is a huge trend that many gamers want to be a part of. If you want to get in on the fun, how do you get started and which recording software should you use? There’s no shortage of free video recording tools out there vying for your attention, many with unique hooks or features. 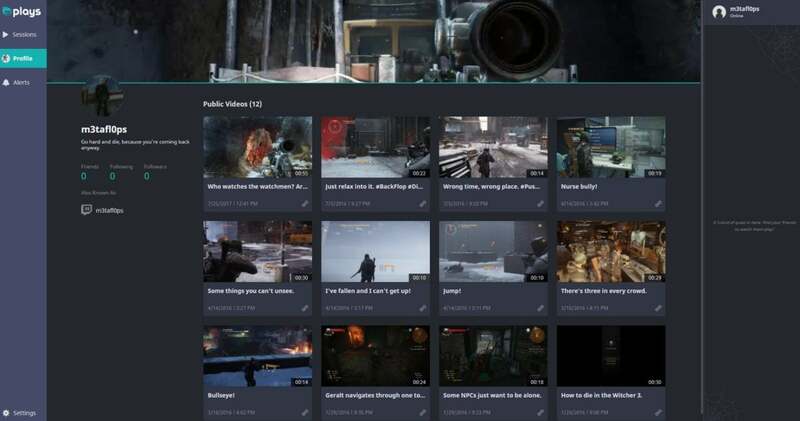 We regularly take a look at the various top gameplay capture tools–most of which are free–to make specific recommendations based on various needs, such as recording and sharing highlight clips, broadcasting your gameplay online, or creating a complete archive of your favorite game. 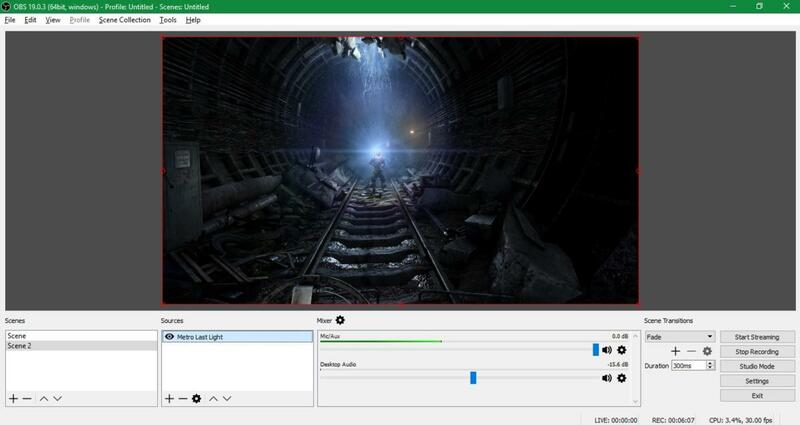 Open Broadcast Software (OBS) Studio tops the list for best game capture software.This suite is ridiculously flexible, allowing you to capture not only your game but also add a shot of your webcam, a watermark, and even more complex elements. The performance impact of OBS is also surprisingly small considering how much it can do. OBS resides in the domain of professional and power users, but the beauty is that with just a few minutes of training it’s easy enough to start using. Anyone who wants to take their game recording and production to the next level should really take a look at OBS. Plays for desktop’s Profile section. There’s no doubt that the easiest capture tool to use is Plays from Plays.tv. You just install it, sign-in, and it starts doing its job with no prompting necessary. More experienced users can tweak the capture settings, but it’s not a requirement to get a quality experience right from the outset. Game Bar captures in the Xbox App. Plays ties with Windows 10’s Game Bar here. 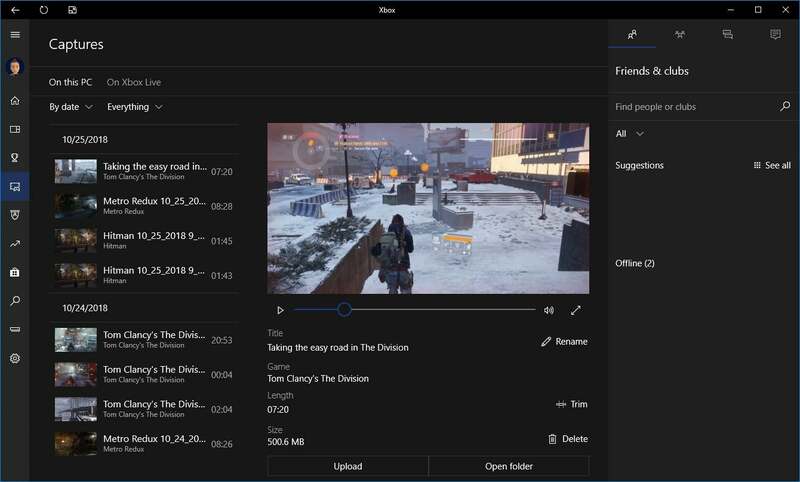 While the Game Bar isn’t technically a sharing tool, it’s integrated with the Windows 10 Xbox app where you can upload clips in a single click to Microsoft’s Xbox Live. The Xbox app also has simple editing tools to cut down your recording into a shorter clip. Plays is just as easy to use as the Game Bar for editing. After you’ve recorded your gameplay, Plays appears with equally simple editing tools to cut down your clip or upload the whole thing to Plays.tv. The downside of both is that they don’t tie into platforms like YouTube and Twitch. In both cases, however, it’s easy to get access to your videos locally to upload them elsewhere. We reviewed each capture tool by running a game benchmarking tool without capture software enabled to get a baseline, and then running it again with the capture software actively recording. The difference, measured in frames per second (fps), gives us an idea of the performance impact you can expect from these tools. We also consider how easy or difficult it is to install and configure the software, what it’s like to activate it in the moment, and how easy the software’s interface is to use and understand. We don’t use a top-of-the-line rig for our tests, but a laptop with an external GPU setup. The point wasn’t to see what a tremendously powerful system can do, because tremendously powerful systems won’t have much of a problem running anything. Using this setup shows how budget systems fare while gaming and recording at the same time. Take our benchmarking numbers with a slight grain of salt, though. The performance hit created by video capture software can vary wildly among different PC configurations. Your CPU, graphics card, other hardware, and software running in the background can greatly affect results. These benchmarks are meant to give a general idea of recording software performance. 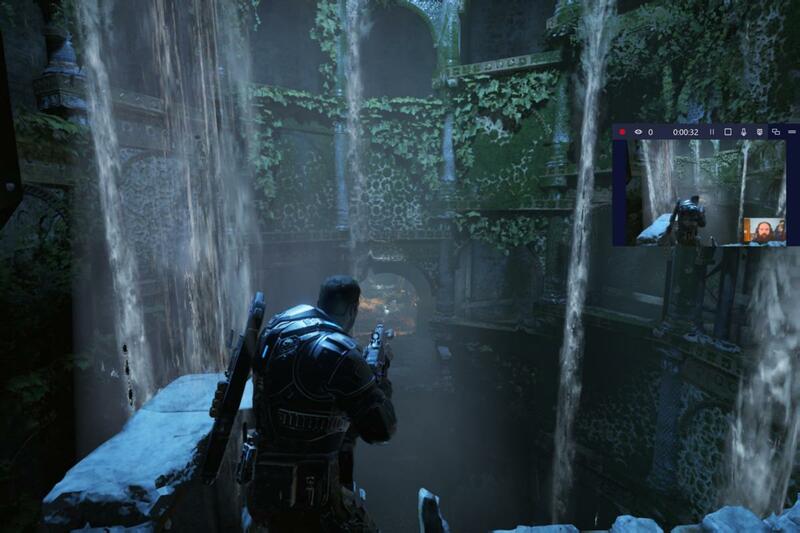 Besides, the unique features of one gaming capture program may lead you to pick it over another regardless of potential performance concerns. Our test rig was a Lenovo X220 laptop with 8GB of RAM, a 2.7GHz dual-core Intel Sandy Bridge Core i7 2620-M processor with HyperThreading, and an Asus GeForce GTX 750Ti overclock edition with 2GB of dedicated onboard memory. If you’d like to know more about our picks for the best video game capture software as well as other options—like Nvidia ShadowPlay, FRAPS, and AMD ReLive—the links below point you toward all the programs we’ve recently reviewed. Plays from Plays.tv is a super easy and fun way to record your gameplay. Its main focus is to create clips to share on the company's website. Since everything is automatically saved to your PC, you can upload it manually to other sites as well such as Twitch, YouTube, or Facebook. OBS Studio is a powerful program that doesn't make too much of an impact on your PC's performance. It is not a tool that just starts up and works, however. It requires time to understand how it works and how to get the most out of it, and the patience to learn how to troubleshoot when things don't work as expected.